GMC’s sales hit a mild bump in the road in April; total sales declined 0.3% with 47,004 vehicles delivered, and retail sales fell 4.8% at 37,509 vehicles delivered. The brand overcame a 15.3% year-over-year slide in sales of the Sierra (17,400 units vs. 20,531 units in April 2016) as well as decreases from popular vehicles like the Canyon (down 21.7% at 2,368 units), Yukon (down 8.8% at 3,030 units), and Yukon XL (down 19.9% at 2,017 units) with big gains from its new Acadia and Terrain. The Acadia saw total sales increase 45.1% with 10,164 units delivered and retail sales increase 42% year-over-year. In both total and retail sales, the Acadia set a new April record, and it has now gained a full point of retail segment share this year. The Terrain saw a 14.3% total sales increase with 8,396 units delivered. Savana sales also increased year-over-year, growing 6.4% with 3,629 units delivered in total. 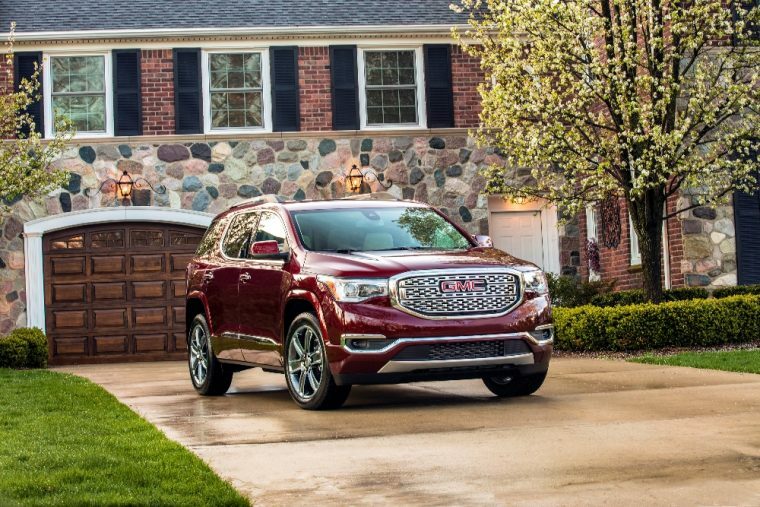 GMC also saw its best month ever for Denali vehicles with approximately 1/3 of all GMC vehicles sold in April falling under the Denali umbrella. Even more impressive, approximately half of all Sierra HD trucks were Denalis. With four months down for the year, GMC is 7.4% ahead of its pace in 2016 with a total of 180,615 units delivered. Retail sales are up 1.2% at 145,502 units. Sales of the Acadia are up 53.6% in the first third of the year with a total of 39,276 units sold, sales of the Yukon are up 5.7% at 13,014 units, and Yukon XL sales are up 3.8% at 9,573 units.